Mystery and thrills converge unexpectedly in the enthralling "Perdida." The movie introduces its lead character in the present day with a concise sequence that lets the audience in on everything they need to know about the essence of Pipa (Luisana Lopilato), a driven detective. What drives her is made equally clear thanks to a brief intro. As a teenager, Pipa's best friend, Cornelia, vanished off the face of the earth. The subsequent trauma of her loss has shaped Pipa irrevocably. So, when a new bit of activity surrounding the mystery of Cornelia's disappearance emerges, it spurs the missing girl's mother to reach out to Pipa to investigate. It is with this newfound hope that she may finally solve the mystery of Cornelia's disappearance that "Perdida" kicks into high gear. The audience will learn most of the truth before Pipa does. It is a considerable risk for the movie to take and it surprisingly pays off. With that, one significant part of the mystery is essentially solved early on. So, it is how this giant piece of the puzzle will affect the future of the story that becomes the unexpected force behind the movie. What begins as an internal struggle between Pipa and the mystery that has enveloped her life, becomes something else. For her part, Pipa is not always likable. Despite the red flags surrounding her choices, her role is still easy to understand. The mysterious woman (Amaia Salamanca) with a flare of red hair is the wild card that keeps you guessing as to where all of this is going, though. Handling different timelines with aplomb, "Perdida" keeps you swerving in out of lanes without discombobulating you to the point, you cannot tell the past from the present. The flashbacks are well-cast and constructed and the exploration of the story's various friendships, including the one central to its arc, is captivating. For all of its intrigue, "Perdida" is a compelling drama and it never lets that crucial component slip through its fingers. Director Alejandro Montiel's thoughtful use of pacing also allows the movie to breathe as it gives way to a sense of genuine progress. It finds suspense without the use of non-stop tension. Led by a stellar performance by its leads, "Perdida" chiefly excels due to the riveting fire and ice performances of its female duo. Each take turns with those moods. They manage to capture viewers' imagination by playing things close to the vest without seeming aloof. 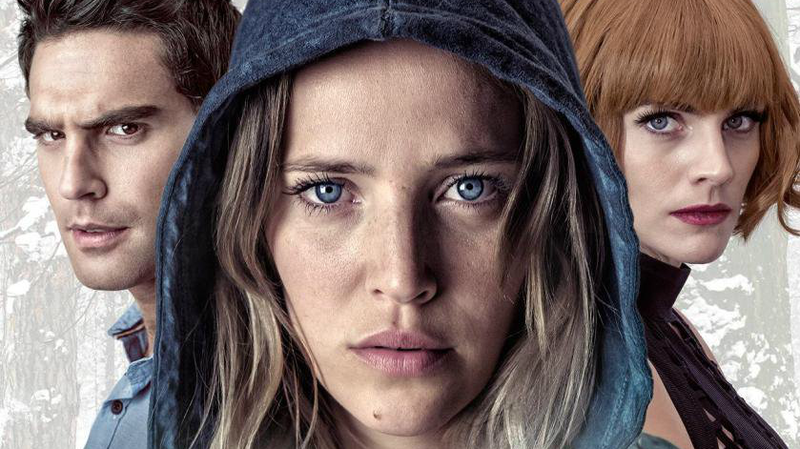 Luisana Lopilato and Amaia Salamanca both approach their roles with a steely calm that accentuates the story, and it rides high on their efforts. "Perdida" is an excellent thriller that also explores the emotional terrain of its storyline. So, while it is a movie about vanishing, it never loses sight of that.